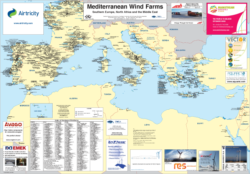 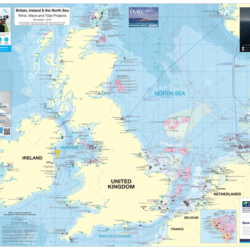 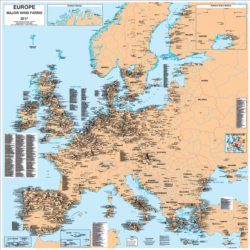 This map was published in association with the European Wind Energy Association (EWEA) and is the first time a map has been published on this area. 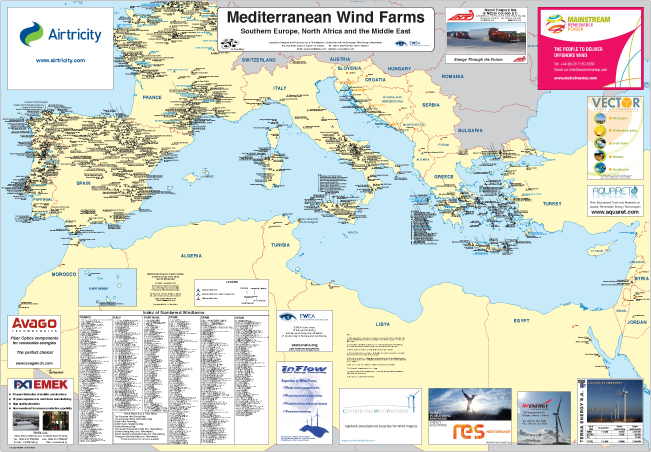 This map shows the location, generation capacity and owner of all operational wind farms in the countries surrounding the Mediterranean. 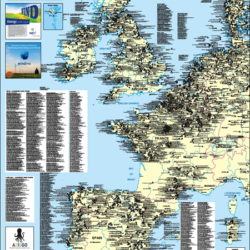 Cape Verde Islands are also included.